Email marketing, as its name implies, is the use of email as a direct marketing tool. It is the communication between a company and its consumers or potential customers via e-mail. Unlike spam, email marketing must adhere to pre-defined rules and procedures and must have the consent of customers - even if that consent may be explicit or implicit, such as when we accept that our email is given to multiple entities or membership of databases that are not explicit. Other great features that distinguish email marketing from spam is that the first one seeks to deliver the right messages to the right people and the recipient has the option to remove from the mailing list or email basis by which they received the email. 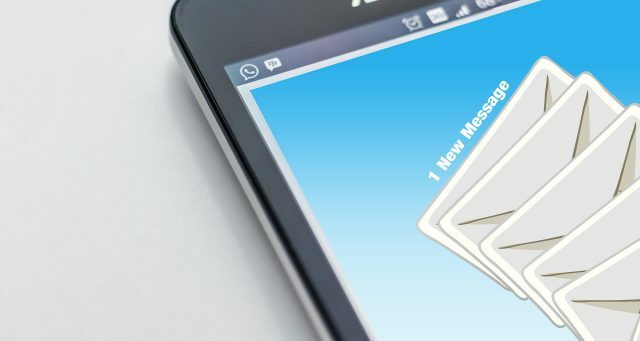 Because email is a widely used and democratic tool, it is normal for it to be one of the best ways to grow your business. There are several types of email marketing, the most common of which are: commercials, mass mailing and for the purpose of selling (promotions, for example); newsletters, usually informative and intended to bring people closer to a brand and create a trustworthy link; and e-mail, which are not massified but aimed at a specific user, and are usually part of company processes or related to customer service (such as confirmation of an online purchase, for example). But it's not enough to just send email from the campaigns to the addresses that you have been collecting on a base, you need to analyze the results of the campaigns that are done so that the next ones can be even more successful. Through the statistics provided by the email marketing service provider you can see the opening rate, ie the number of people who opened your emails, and also realize the amount of people who bought or adhered to what was the provide. Using these tools will be able to put recipients who have opened but have not had the action you wanted on segments of your list that are more suited to your profiles.